Back in June 2010, eBay announced it had acquired a startup called RedLaser, an iPhone app that scans barcodes for the purposes of searching for products and comparing prices. The app shifted from ‘paid’ to free following the buy-out – a smart move for sure – and quickly ported over to Android too. RedLaser has now been downloaded more than two million times in the UK, letting thrifty shoppers scan barcodes, QR codes, UPC codes and more to find the best deals on eBay, online and in their local area. Granted, this is all geared towards highlighting the fact that you’ll manage to find most items for cheaper on eBay these days, but hey. eBay has released new figures that show that the UK is second only to the US in its barcode-scanning habits, accounting for a fifth (20%) of global RedLaser scans. UK shoppers are now scanning up to 50,000 barcodes a month via the app. The Internet Advertising Bureau (IAB) recently revealed that over a third (38%) of consumers use their smartphone in-store while shopping, and almost half (49%) use their mobile to compare prices with other retailers. 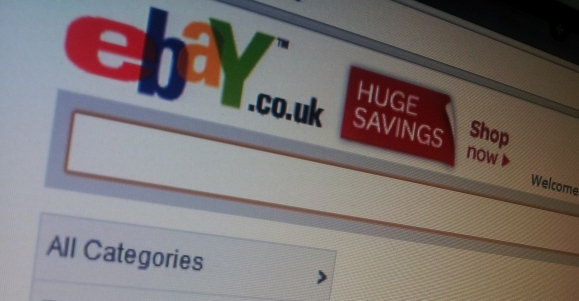 “Consumers are taking advantage of new technologies to get savvier in their shopping habits and seek out the best deals on the high-street,” says Angus McCarey, UK Retail Director for eBay. “Apps like RedLaser are blurring the lines between online and offline shopping. Back in December, we reported on eBay’s first ever bricks-and-mortar store in London. The temporary pop-up store was timed to coincide with the early Christmas rush, with the main caveat being that the store had no tills, a very limited selection of products and shoppers weren’t allowed to take any of the items away with them. Richard Brewer-Hay, a Senior Manager at eBay, called the store “the UK’s first-ever QR code shopping emporium”, with shoppers able to browse over 350 items provided by a selection of the top-rated eBay sellers. It was a similar initiative to what eBay had launched in the States, except there it was referring shoppers to other retailers through the RedLaser app. Founded in 1999, eBay UK serves over 17m unique visitors per month, perusing around 40 million live listings.